The international conference “Prague Forum” brought together on 8 March 2017 high level research, university and academy representatives to reflect and discuss how the future of non-university research should be addressed beyond 2020. President Günter Stock represented ALLEA in the event, which was organised by the Czech Academy of Sciences (CAS) on the occasion of the ending of the Presidency of Professor Jiří Drahoš. The future of non-university research institutions and research infrastructures, their further development and society-wide roles of these organisations were the main themes of the forum, which took place in Prague under the aegis of the Czech Vice Prime Minister for Science, Research and Innovation Pavel Bělobrádek. Experts and officials exchanged opinions and experiences on the challenges and opportunities for scientific excellence and the widening concept, the question of open science as a new paradigm of the European Research Area, and the relevance of a dialogue between science, policy and the wider public. The ALLEA President participated in a panel under the title “Scientific Excellence and the Widening Concept”. In his presentation, Prof. Stock reflected on how scientific excellence and the widening concept can be an “opportunity for inclusion” in various perspectives, from including more disciplines in the search for solutions to pressing problems, to connecting science with policy-making and the general public. Particularly he underlined the necessity to be more inclusive with lower performance research institutions in Europe by enabling them to compete at the highest level. “I translate the widening concept into something like structural support programmes with competitive elements to bring up more academic institutions to a level where they can truly compete in this Europe-wide race for example for European Research Council grants”, said Prof. Stock. 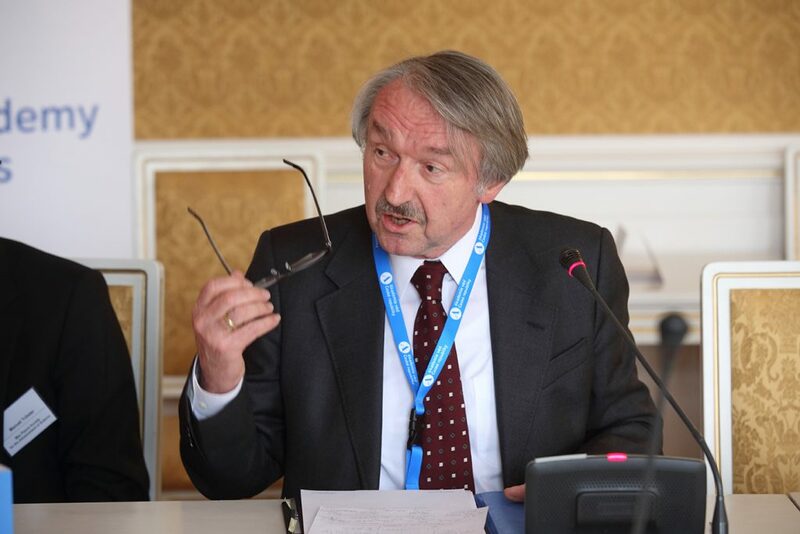 The President of the CAS, Professor Jiří Drahoš, acquainted the participants of the conference with the structure and conception of the academy, and foresaw that “the role and importance of peak non-university institutions, including their cooperation with universities, will grow also after 2020”. The event was attended by top level representatives of European science, including Martin Stratmann, President of the the Max Planck Society, Maive Rute, Deputy Director General of the Joint Research Centres, Michael Matlosz, President and Chief Executive Officer of the French National Research Agency for the Support of Research, among others. The conference also touched upon a wide range of topics, concerning the functioning of scientific institutions of non-university research, as well as the prospects of scientific collaboration and non-university research development in Central and Eastern Europe. The Czech Academy of Sciences (CAS) is the Czech successor of the former Czechoslovak Academy of Sciences. It is set up as a complex of 54 public research institutions. Its primary mission is to conduct basic research in a broad spectrum of the natural, technical and social sciences and the humanities. This research, whether highly specialised or interdisciplinary in nature, aims at advancing developments in scientific knowledge at the international level, while also taking into account the specific needs of both Czech society and national culture. Scientists of the Academy institutes participate in education, particularly through doctoral study programmes for young researchers and by teaching at universities as well. The Academy fosters collaboration with applied research and industry. The integration of Czech science into the international context is being promoted by means of numerous joint international research projects and through the exchange of scientists with counterpart institutions abroad.